Winter Dog walks in Johannesburg. What a pleasure walking these four… Roxy, Ozzy, Duke and Tess, your dogs are awesome. 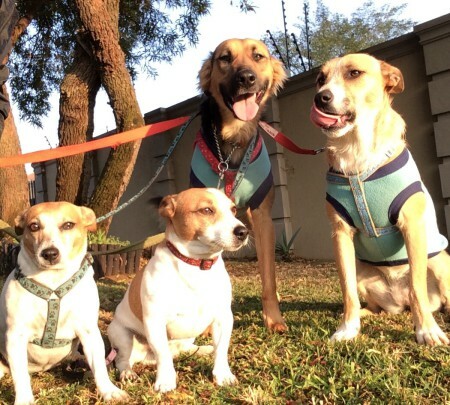 This entry was posted in Dog Walking and tagged city streets, Dog walking, Early mornings, happy, Happy Dogs, Joburg streets, Pets, Socializing, Sunny Johannesburg, Winter, your hound. Bookmark the permalink.